Consider this not uncommon scenario… You own property with another person and you are in the process of making a Will. Of course, you want your interest in the property to go to your intended beneficiaries. Until now, you had no idea that there was any difference between joint tenants and tenants in common and had probably never considered it. The concepts are the same for any asset, but are more commonly used in relation to land. So what is the difference? The simplest way to think about owning real estate (or real property) as tenants in common is that each owner has a legal interest in the land in a defined or specific share or proportion. For example, the phrase “as tenants in common in equal shares” means that each owner has an equal interest in the land (so in the case of 2 owners, they each hold a 50% interest and in the case of 3 owners, they each hold a 1/3 interest). Where property is owned as tenants in common but in unequal shares, the proportion of ownership is specifically stated (such as “John Smith as to 1/4 share and Bob Brown as to 3/4 share as tenants in common”). With tenants in common, each owner (subject of course to any Co-Ownership Agreement or encumbrance such as a Mortgage or Caveat) may freely transfer or dispose of their share of the property, including in their Will when they die. On their death, their interest in the property will be included in the inventory of property annexed to the grant of Probate or if they don’t have a Will, annexed to the grant of Letters of Administration. What does joint tenancy mean? Joint tenants however each own the whole of the relevant asset. The concept is that the co-owners’ ownership of the asset overlaps such that on the death of one joint tenant, the remaining joint tenant/s will continue to hold the whole of the asset. This is known as the “right of survivorship“. A deceased joint tenant’s interest in the property does not form part of their estate and is not available for distribution to the beneficiaries of that person’s Will. Often this is overlooked by those drafting Wills. The same principles apply to bank accounts held jointly. It is for this reason that most married couples (or those in longer term relationships) hold their property or at least their principal place of residence as joint tenants. There are however, sometimes good reasons for holding property differently as part of an overall Estate Plan. Blended families for example often necessitate this right of survivorship not being given effect to so as to more fairly distribute their estate on their death. Other situations where a joint tenancy may be appropriate for those not in a relationship like marriage is a Lease by parties to a Partnership – the death of one partner would then not necessarily affect the continuation of the Lease. 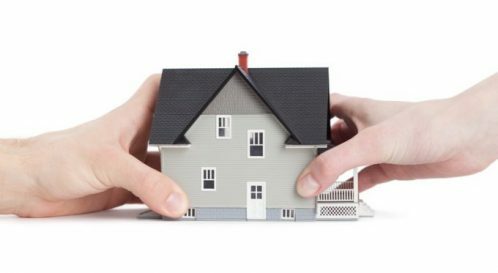 If you hold property as joint tenants with another person it is possible to sever the joint tenancy – which then converts it to a tenancy in common in equal shares. This can be done unilaterally by lodging the appropriate documentation at NSW Land Registry Services (formerly NSW Land & Property Information and the Land Titles Office) and is often done by lawyers when parties to a marriage or de facto relationship no longer wish for the other party to own the entire property on their death, such as when they separate or get divorced. It is also possible to have a combination of both a “joint tenancy” and a “tenancy in common“, such as where a property is owned by 2 families. For example, a husband and wife may own one half of the land but they own it jointly as between them (so that if one passes away, the other continues to own it) and the brother of the husband owns the other half absolutely. The title to the property would show “John Smith and Mary Smith as joint tenants as to 50% and David Smith as to 50% as tenants in common”. For further information in relation to estate planning, changing the tenancy of a property or documenting a co-habitation or property use agreement, contact Craig Pryor on (02) 9521 2455 or email craig@mckilloplegal.com.au. Content contained in this document is general information only and is not advice, financial planning, legal or otherwise. This document was sourced from McKillop Legal’s blog by Integrated Planning Systems Pty Limited ABN 21 051 429 184 trading as McKillop Financial Planning, an Authorised Representative of GWM Adviser Services Limited ABN 96 002 071 749 trading as MLC Financial Planning, Australian Financial Services Licensee, 105 – 153 Miller St, North Sydney NSW 2060, a member of the National Australia Bank Group of companies. The information is current as at 16 January 2019. The article does not take into account your personal objectives, financial situation or needs. Accordingly, you should consider how appropriate the information is to you with regard to your personal circumstances. You may wish to obtain an adviser’s assistance, tax and/or legal advice to make this assessment. Before buying any financial product, you should read the Product Disclosure Statement (PDS) for that product and consider the contents of the PDS before making a decision about whether to acquire the product. Opinions constitute our judgment at the time of issue and are subject to change. Neither, the Licensee or any of the National Australia Group of companies, nor their employees or directors give any warranty of accuracy, nor accept any responsibility of errors or omissions for this document. GWM Adviser Services Ltd is not responsible for the advice and services provided by McKillop Legal. Fionne McKillop is a director of McKillop Legal Pty Ltd and as a result, will receive distributions and/or other benefits from McKillop Legal Pty Ltd.